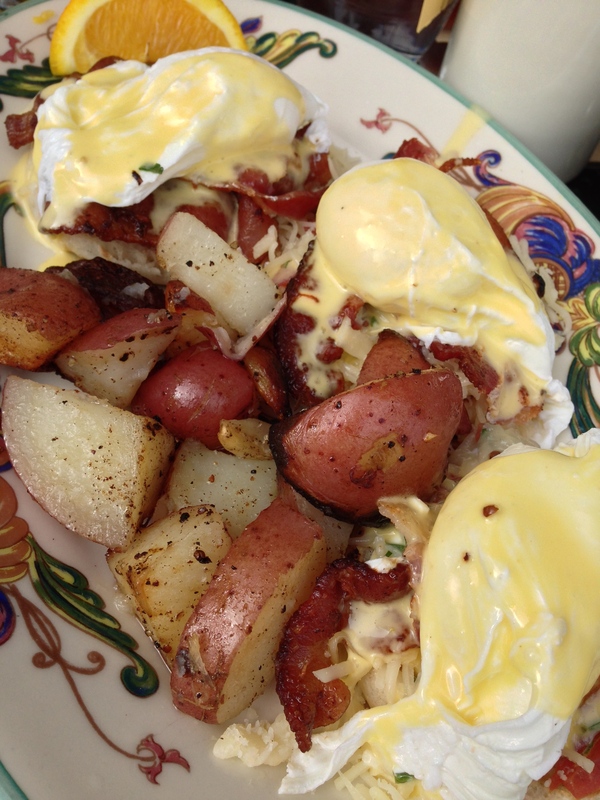 Zazie also served up some poached eggs which we wasted no time pillaging. One had the equivalent of salsa and bacon, while the other had tomato and prosciutto. Beautifully balanced salty-savory-acid in both cases – could not think of anything worth improving upon. We now know why there is a line to get into Zazie when they open at 9am on a Sunday. 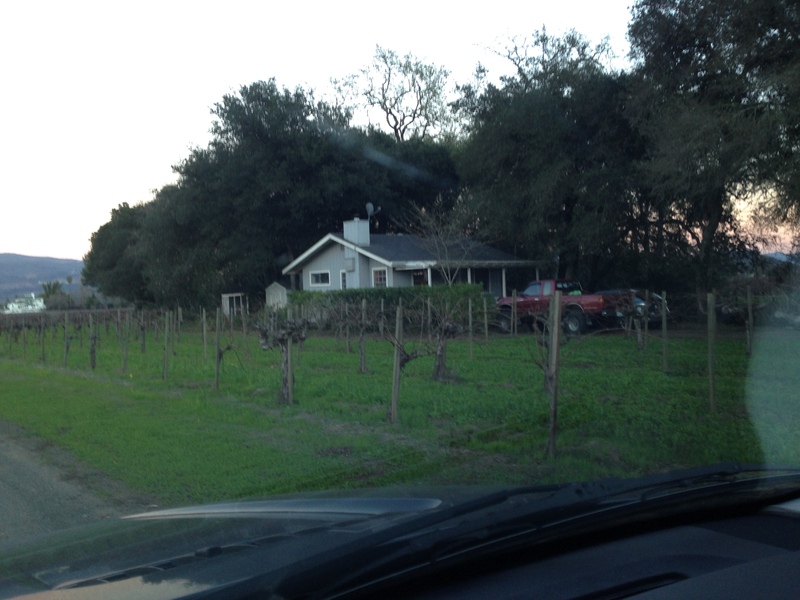 Our first Napa destination was Ma(i)sonry, but have no photos, as we’ve already photo’d the bejesus out of it on the blog. My tastes must have changed over the past 6 months because this time, I was drawn to less fruit-forward cabs, favoring instead some well-done 2011’s with the right balance of acid and fruit. Funny how things change. Overall, Maisonry was a fantastic way to get in the mood for the cabs of Napa (the gang preferred reds to whites, so that’s what we focused on). Our second tasting of the day, at Paloma, courtesy of hookups by a and a’s dad, is pictured above. We could have listened to Barb, the proprietor, for hours upon hours, with her stories from 31 years in the valley. As you can see, her view is incredible (the tasting is literally at her house). 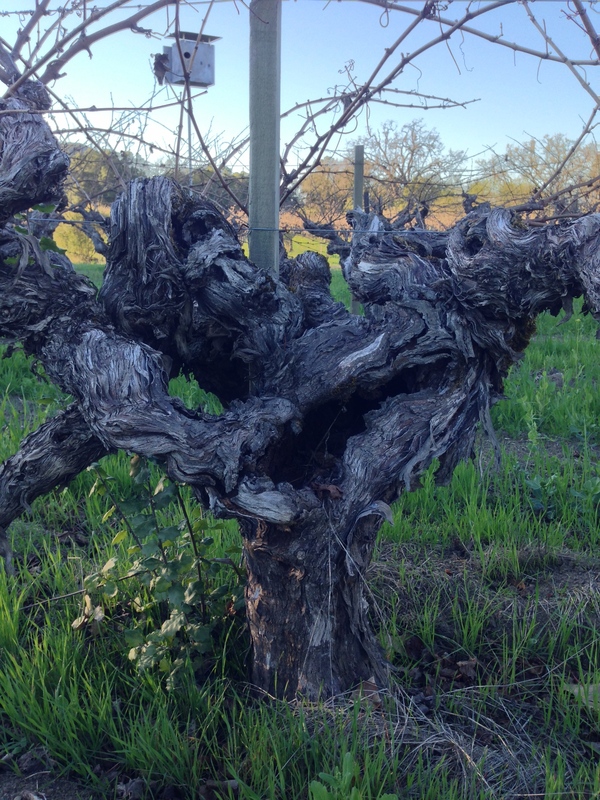 Her wines were impressive expressions of Merlot, inspiring us to walk away with a few bottles in hand. A great visit! There’s no tasting room at MacDonald – instead there’s a picnic bench under a giant tree next to some vines. I cannot imagine a more perfect setting. 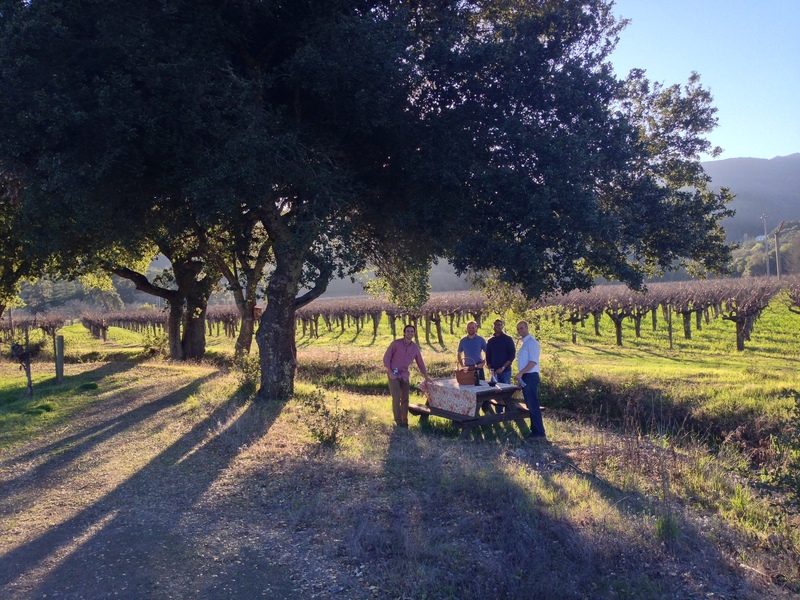 Even when these guys do get around to building a winery and a cellar and a tasting room, I hope they never lose that sense of chatting around a wicker basket and vinyl tablecloth. I have to say that out of every tasting I’ve ever had, this was probably the most personal. I don’t know if it’s because my tablemates had already consumed ample amounts of wine throughout the day (I spit at every tasting, so I was DD), but the conversations meandered from wine to friends to weightlifting to medicine to bachelor parties and back to wine. Before we knew it, the sun had set and we were near-shivering … now that is a tasting! 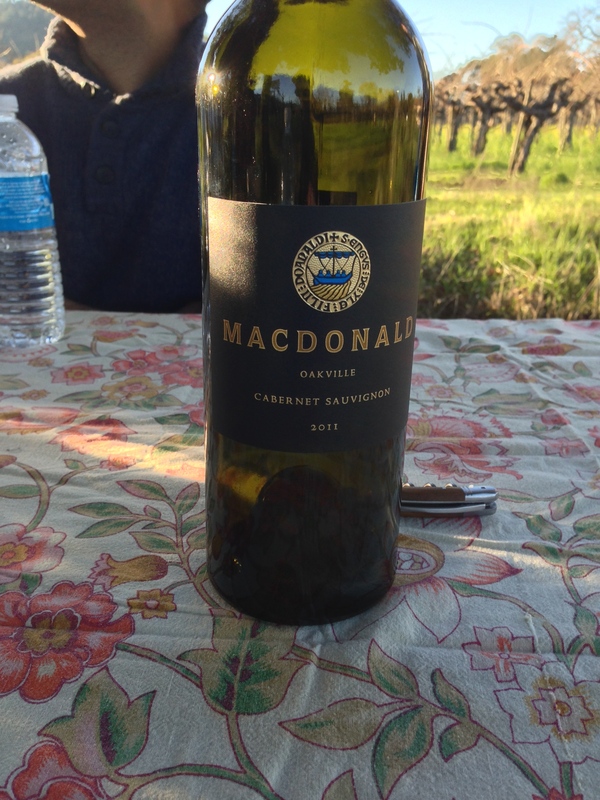 Oh … and the wine … we had the opportunity to sample the 2011 MacDonald Cab, which was really a treat. Not to be released until Fall 2014, I have to say that this was easily the best wine we had all day, and we had had wines from multiple talented winemakers (Thomas Rivers Brown, Melka, Jeff Ames, Pahlmeyer) over multiple vintages from multiple sites! My companions agreed. But beware – this is no fruit bomb or berry milkshake; certainly no oak monster here. Bright red-and-dark fruits up front saturate the palate with silky tannins so smooth that you forget they’re there; the fruit is followed by a mouthwatering, moderate-length finish of cool-vintage cab flavors that dance on the palate. As time passed, it took on even more layers of flavor, including herbs and baking spices. Overall, it’s a feminine expression of cab, but don’t construe that as “wimpy”, rather, think of that seasoned, graceful principal ballerina, floating across the stage … no one would dare call her “wimpy” – she’s just ridiculous at making it look effortless. We had visited Oakville Grocer earlier in the day for a cheese break (after all, with all the wine we had been tasting, we needed a little something in our stomachs), but when it was dinner time, we needed to get some serious grub. 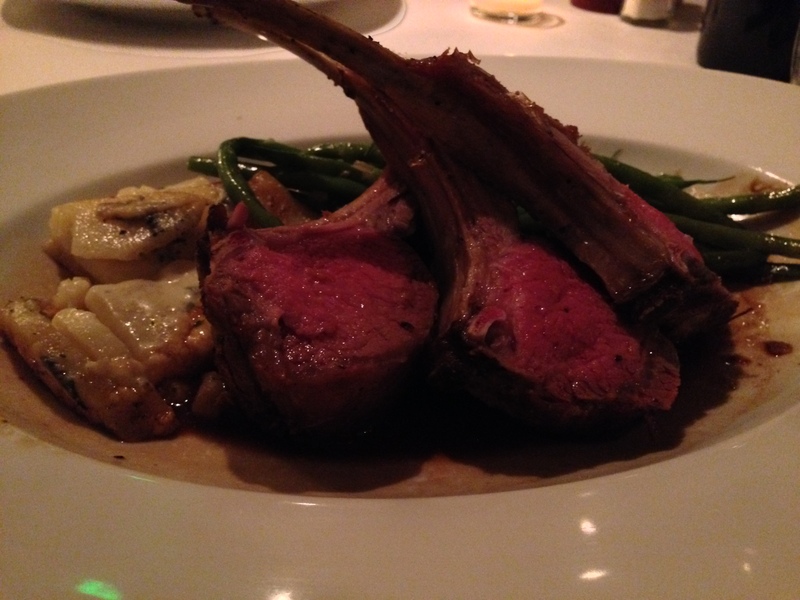 I picked out Bistro Jeanty – a Yountville staple at reasonable prices. And that night, they were on fire. 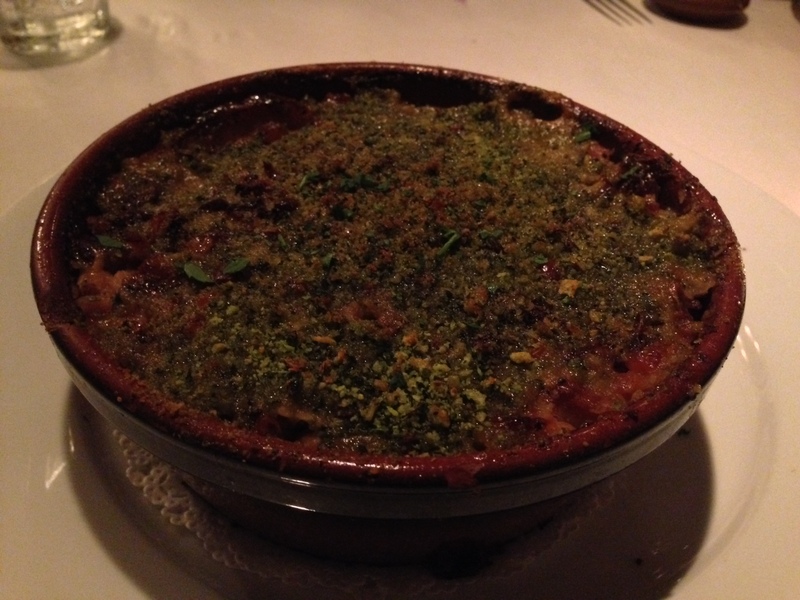 The above escargots were amazing, exceeding the deliciousity, texture, and size of Bibou’s. 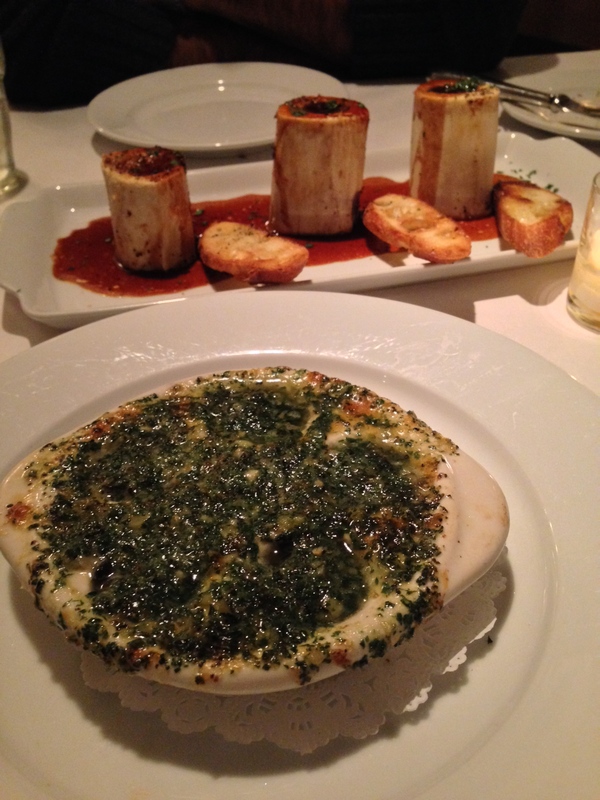 Similarly, the bone marrow in the background with that red wine sauce was absolutely stunning – made oh-so-simply but so profoundly flavorful that I could have eaten every single piece if allowed; once again, it bested even Bibou’s bone marrow. Dessert was of high caliber – maybe not as crazy as the first two courses, but still damn good. 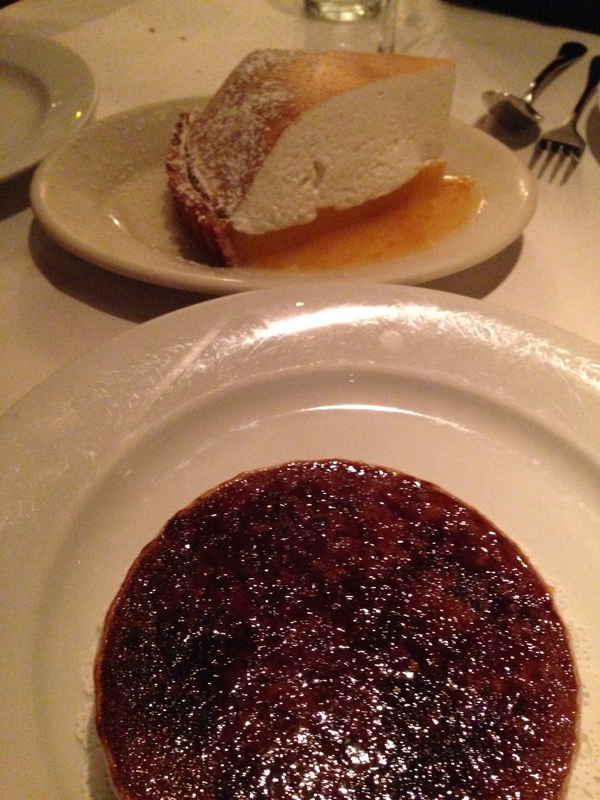 The chocolate creme brulee struck again (I loved it before when I had it), and the lemon tart was so close to being perfect (the orange marmalade-ish sauce was confusing – they should have kept it lemon … or maybe gone lime … but orange was weird). Don’t let the above picture mislead you: I was sad that g wasn’t there – she would have loved it. And of course we missed a … but … be that as it may, I’m pretty sure I can say that Man Trip 2014 was a success! 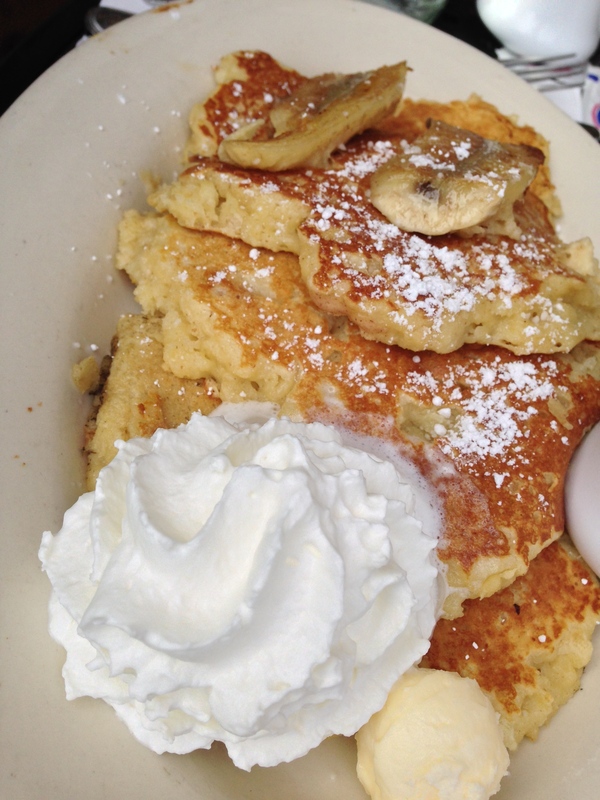 « Rex 1516 does brunch right!